Michael Brin is a South Florida native having spent the majority of his youth in Hollywood, Florida and then Pinecrest in Miami-Dade County. Michael is a Wealth Advisor with BB&T Wealth attending to the financial needs of BB&T’s most affluent clientele in South Florida. Michael maintains the Certified Financial Planner™ designation. He earned a Bachelor of Science degree from The Ohio State University in Family Resource Management with a core focus in Financial Planning. He is also a graduate of the University of Florida’s Hough Graduate School of Business with a Master of Business Administration degree. Michael has also completed The American Bankers Association National Trust School. 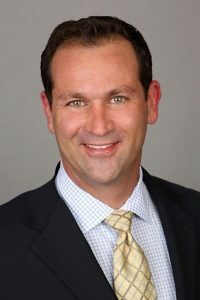 Michael began his career with BB&T Wealth as the South Florida Regional Financial Planning Strategist for the Wealth Division as a fee-only financial planner working with the Bank’s most affluent clients. He joined BB&T as part of the Bank’s acquisition of Colonial Bank in 2009. Prior to joining BB&T/Colonial Bank, Michael attended to the financial needs of the high-net-worth clientele of Northern Trust, NA in Miami as an Associate Personal Trust Relationship Manager assisting in the management of a book of business of over $1 billion. Michael currently resides in Davie, Florida with his wife Andrea, and children, Matthew, and twins, Jacob and Noah. Michael is proud to be a member of the Board of Directors for Debbie’s Dream Foundation. He has also worked on various committees with The Jewish Federation of Broward County and the Humane Society of Broward County and continues his involvement with these groups.